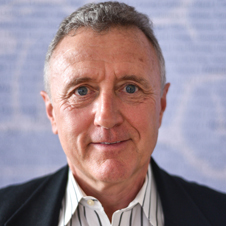 Dr. Michael E. Smith is an applied cognitive neuroscientist and business professional based in Southern California. His career has spanned the academic, government, and corporate sectors. He is an author on dozens of publications in peer-reviewed journals, an inventor on multiple patents for advanced neurological assessment methods, and a frequent conference speaker on consumer neuroscience and related topics. In 2008, Michael joined the global client services team of NeuroFocus, where he consulted with dozens of large corporations on strategies for leveraging neuroscience to improve consumer engagement with advertising, branding, product development, and packaging. Currently, Michael is VP of Consumer Neuroscience Solutions at Nielsen Neuro, where he serves as a liaison to marketing industry associations and, in support of Nielsen’s broader CSR program, coordinates pro bono work with nonprofits while facilitating broader adoption of consumer neuroscience methods as a means for promoting the public interest. Michael earned a PhD from the Psychology Department of UCLA, and an MBA from the Haas School of Business at UC Berkeley.